In Window seven and window vista by default Administrator account is disabled .During installation of window Seven and vista you will ask for enter the desired login name for you are window that name is the local user name with less privileges(means that you will some time encounter a situation when a message is prompt that is saying that you don’t have sufficient administrator rights to perform this action like deleting a file’s or something else),but in administrator mode you have so many privileges to perform many action that you can’t do as a local user. Note:Remember if you lost the administrator password that can cause serious issue and if you delete any system file then that can make your system down to so be careful don’t play in administrator mode. How to enable administrator account ? To enable administrator account in your system please follow the below step’s. 1.) Right click on computer and then click on manage, see below image for more details. 2. )A new window get opened in that window click on Local Users and Groups and then click on the users ,see below image. 3.) you would find a various account option including the administrator account option too so right click on administrator and click on set password ,see below image for more details. 4. 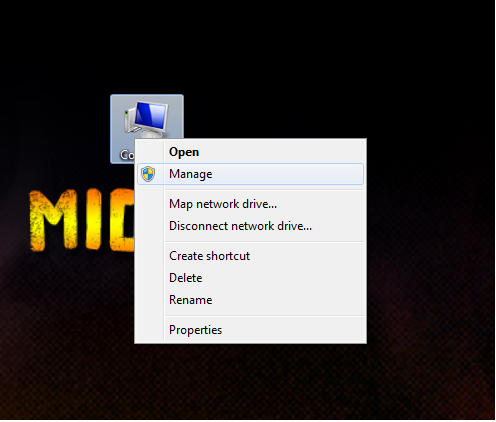 )A new windows get opened in this window click on proceed button to move to the next window, see below image for more details. After clicking on the proceed a new window would appear in that window you have to enter your password and then click on OK button. 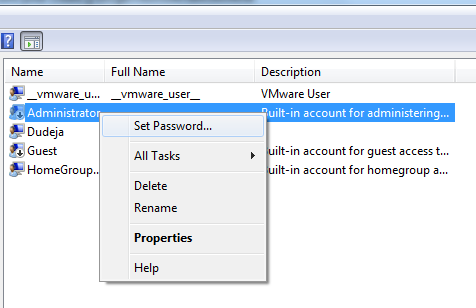 After clicking on OK button ,in window you would see all the account option again so again right click on the administrator then click on “properties” ,see below image for more details. There would be option that account is disabled by default and this option is checked so unchecked it to make sure administrator account would enable on boot,see below image for more details. That’s it now your administrator account is enabled in your windows 7 , if you want to disabled it again follow the reverse steps, i hope you like my this post if you have any query related to post please leave comment below in the comment section and don’t forget to subscribe to my blog and social networking pages.